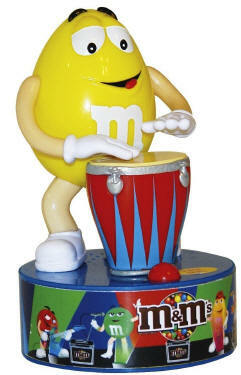 M & M Drummer Rock Star Candy Dispenser Press the button to watch the M&M's move and jam! 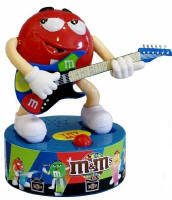 Each Rock Star comes with 1 fun size pack of M&M's. 1998-2019 Advantage Services - All Rights Reserved.